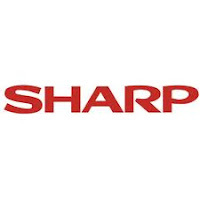 Sharp Electronics Indonesia - Sharp Corporation has a long history of creating breakthrough products designed to meet the needs of people living in Australia and around the world. Since the company was founded in Osaka, Japan in 1912, where Sharp produced the first self-propelling pencil called the “Ever Sharp”, we have gone from strength to strength. Today, Sharp produce variety of electronics products and sold in more than 140 countries. There are 27 manufacturing operations, 23 sales companies and 9 representative offices in 15 countries.